The Methodist Church welcomed a new Minister, Rev. Tom Carmichael, a few months ago. In other news, there will be a celebration of the life of the Yeovil and Blackmore Vale Circuit, to which all are invited, on Saturday 21st March. 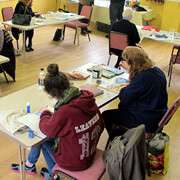 Pray, Praise and Paint is held at Wincanton Methodist Church on the first and third Saturdays of each month, a group that explores creativity with faith, for all ages. Rev. 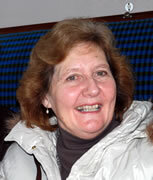 Ruth Farrant will be taking the Church Anniversary Service at Wincanton Methodist Church on Sunday 28th April, at 10.30am. There will be a "Bring and Share" finger buffet after the service. 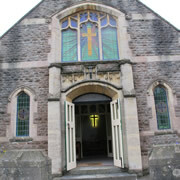 Wincanton's Methodist Church is an active and outgoing church with various week-time activities. A warm welcome is assured for all-comers. Do come along and find out what we have to offer! I visit Wincanton Methodist Church and discover John Wesley came here.